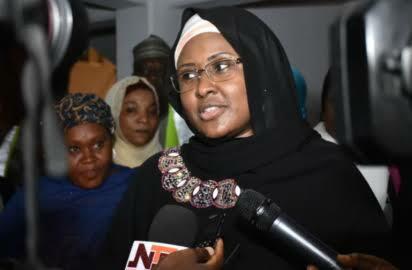 Wife of the President, Aisha Buhari, on Wednesday lamented that two powerful personalities have constituted themselves as a cog in the wheel of speedy development of the country, under the watch of her husband. 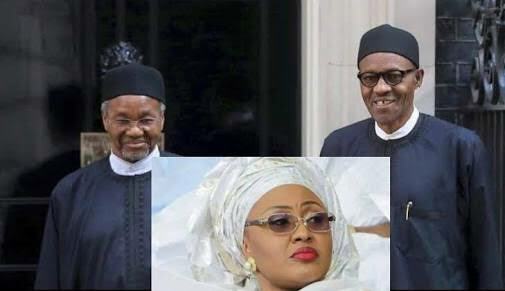 Who are these powerful men and why can't Buhari take action? Mrs. Buhari, who spoke at a conference organized by Project 4+4 in Abuja, however, did not mention the names of the powerful persons. The event was also attended by the VP's wife, Mrs. Dolapo Osinbajo. The First Lady explained that the government had achieved a lot but could have achieved more or even achieved all it had in one year but for two people in government who will never allow things to move fast. The President’s wife said that she was disappointed in men (in government) who rather than fight these two men will go to them in the night begging for favour. The President’s wife insisted that the powerful duo were retrogressive elements preventing the government from moving forward. “The president does not know 45 out of 50, for example, of the people he appointed and I don’t know them either, despite being his wife of 27 years. “Some people are sitting down in their homes folding their arms only for them to be called to come and head an agency or a ministerial position,” she had said. The First Lady had also threatened not to vote for Buhari, saying “he is yet to tell me, but I have decided as his wife, that if things continue like this up to 2019, I will not go out and campaign again and ask any woman to vote like I did before. I will never do it again”.